During February, Barbados continues to live up to its reputation as a wonderful warm weather destination. While your friends and family are battling the cold, you'll be basking in our tropical sunshine. Still in the dry season, rainfall levels are typically very low in February. There's lots of sunshine but with quite low relative humidity it's not too hot. Still some months away from the hurricane season, you don't have to worry about any such storms. February falls within the peak tourist season, but there are still great deals at many hotels and vacation rentals. 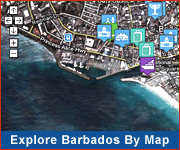 Check http://BarbadosVacationSpecials.com for special offers & discounts. Popular events in February are: Open House Programme and the Holetown Festival. There's always live music at restaurants, hotels and clubs so check WhatsOnInBarbados to see what's on during the month. 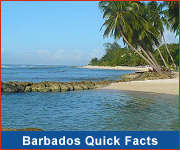 February is one of the peak months for Barbados vacations. Be sure to book several months in advance.